Your most powerful tool is your ability to pay attention to the things you’re passionate about. 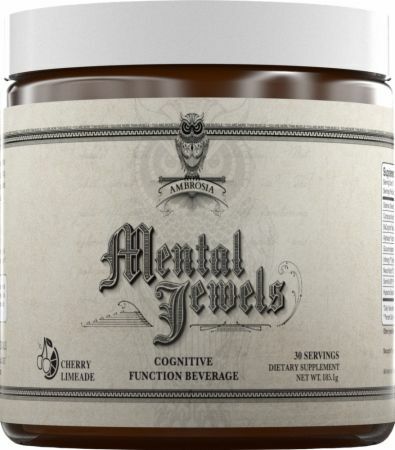 Mental Jewels™ Powder Cognitive Matrix is a sugar-free botanical nutraceutical formula that works at the cellular level to unlock your full mental abilities at their roots and release you to conquer your goals. * It’s available in powder or capsule form. No Mental Jewels Reviews Found. Directions For Mental Jewels: To maximize your cognitive function and mental prowess: Take 4 capsules of Mental Jewels 30 minutes before the most mentally demanding part of your day. Daily events such as important meetings, classes, tests, study sessions, or even a date are the perfect time to use Mental Jewels. An additional 2-4 capsules per day can be taken 4 hours or more apart from the first dosage as needed.